Deborah joined TELUS International in December 2009 as Benefits and Corporate Social Responsibility Manager for El Salvador, back when the company only had 600 employees. From the beginning of her career at TELUS International, she oversaw all matters related to Culture, Engagement and Attrition, implementing new benefits, development programs and employee retention strategies. Deborah then transitioned to the Site HR Manager role, where she supported the Operation through the HR Business Partners team. In 2014, Deborah was promoted to Human Resources Director, responsible of delivering on the TELUS International Value Proposition by safeguarding our brand promise of being a “Caring Culture” organization. Deborah’s intent is to create a happier, better and safer place for our employees because she truly believes that Happy People = Happy Customers. Her duties include the administration of the organization’s Human Resources function, she oversees organizational development, performance management, HR Business Partners, employee relations, employee retention and development strategies, benefits, and corporate social responsibility, leading the HR staff in El Salvador. Throughout her career at TELUS International, Deborah has established great relationships with both our customers and Operations leaders, constantly delivering on our TELUS International values. 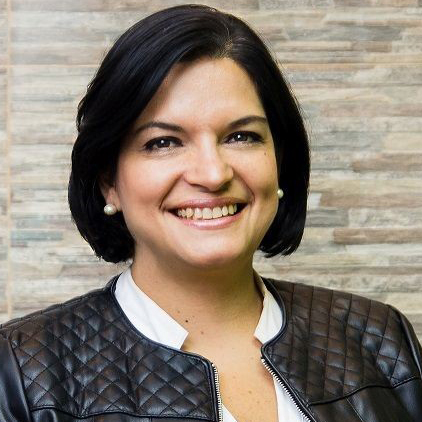 She has been the Connections - the TELUS Women's Network Chair since it was implemented in 2014, and is now leading the implementation of the local Diversity and Inclusiveness Council launched in 2018 for El Salvador. Overall, Deborah has 15 years of experience in Human Resources, since she started her career in Recruitment as University Relations Coordinator and Senior Recruiter. Prior to joining TELUS International, she worked in other companies in the contact center industry such as DELL, in Recruitment, and in the Global Benefits team at Stream Global Services. Deborah has bachelor degree in Business Administration. She lives in San Salvador with her 4 kids, Roberto, Deborah, Fernando and Mariana. She loves visiting the beautiful beaches and mountains in El Salvador with her family and enjoys time being surrounded by her close friends.